The client is a specialized medical practice of 32 doctors, operating out of two clinics in separate hospitals, and a third location with business operations and administrative offices. They sought consolidation, improved efficiency and an option for future growth. GA Studio spent nearly a year analyzing the client’s operational flow and opportunities for efficiency gain. By studying their weekly routines and applying lean principles, GA Studio was able to deliver design for a singular building with approximately 25% less area of programmed space than the doctors believed they needed at the onset. The building layout is customized for optimal patient flow, clear circulation, daylit public spaces and the inclusion of surplus space for immediate tenants, which can be converted to accommodate growth for the client as needed in future years. 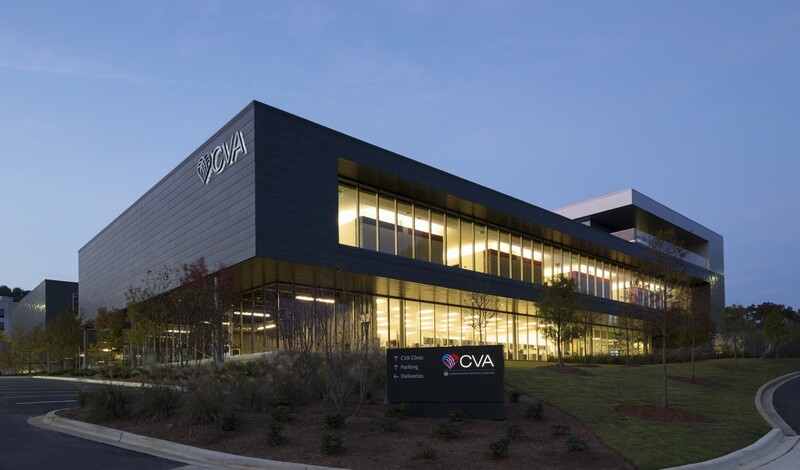 Through selective bidding, the building’s construction contract came in under budget, and the client is eager to begin realizing cost savings through efficiencies enabled by the architecture and the architect as operational planner.